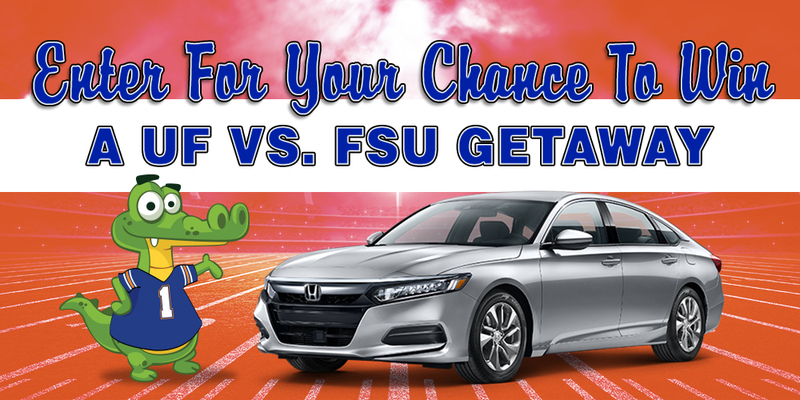 Honda of Gainesville has two tickets available for the UF vs. FSU game and 3 ways for you to enter to win. This incredible prize package includes two tickets, lodging for Friday, November 23rd and Saturday, November 24th, transportation and fuel. With 3 ways to enter, the choice is yours! The first option is to visit Honda of Gainesville and purchase a vehicle from us. No strings, no specials restrictions – just buy a car from us and you’re entered. The second option? 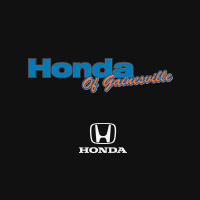 Go to the Honda of Gainesville Facebook page and like it. Then comment why you should win the tickets. Finally, share your post and you’re entered! The last option is simple, too – just come into Honda of Gainesville and fill out an entry form for the drawing! Hurry To Honda Of Gainesville Today! Don’t miss your chance to win these tickets to the biggest rivalry in Florida – the Sunshine Showdown! With 3 ways to enter, your chance to win has never been better! Winner will be drawn on November 17, 2018. Visit Honda of Gainesville on Facebook or at our dealership to enter today! No purchase necessary. Entering via more than one method does not increase chances of winning. While supplies last. Drawing and winner announcement will take place on 11/17/18. See dealer for details.